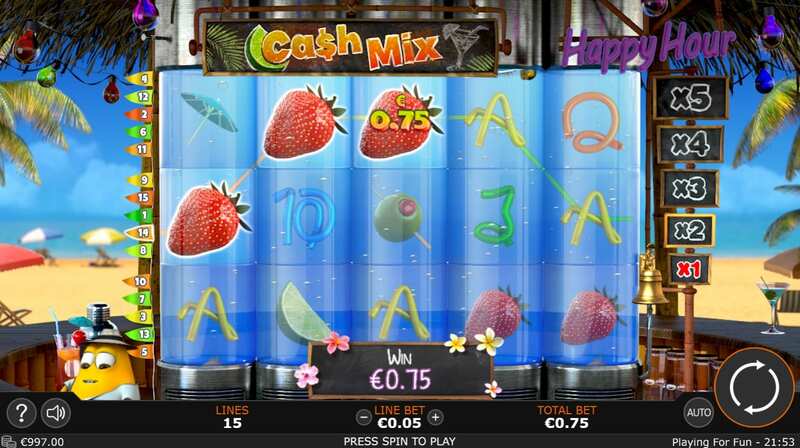 It’s summertime and the living is easy with this new video slot game from Sunfox Games. Why not take a well-earned break in this tropical paradise, where the cocktails are cheap, the azure sky stretches as far as the eye can see and the golden sand nestles warmly beneath your toes at Wizard? With its 15 paylines and 10x multipliers, the only thing you have to worry about on this holiday is the rather maniacal bar staff! But with plenty of ways to win and the sound of the lapping sea welcoming you, who cares if they’ve gotten your cocktail order wrong? View our online slot games collection created by Sunfox Games. Enjoy a languorous afternoon at the bar and line up some famous cocktail ingredients for some major prizes with Cash Mix. Choose your tipple, take a sip and relax as you rack up those multipliers and land those fruits. But watch out for the bartender Chuck who has a pesky habit of getting stuck in the tubes and needs help from his friend Crazy Doc to set him free. 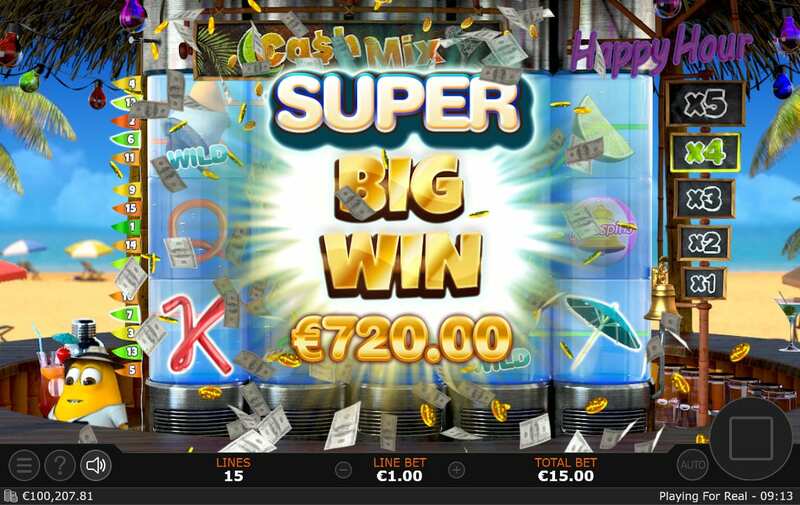 This game is worth a try - play the best slots online now! TEQUILA SUNRISE – Pick your spot and nab a deckchair before the other holiday goers get there with the Sunrise multiplier. Activate this mode and not only will you be first onto the beach, but you can also enjoy multipliers of up to 5x on your winnings! HAPPY HOUR – Everybody loves saving money during happy hour, but how about a happy hour that pays you? 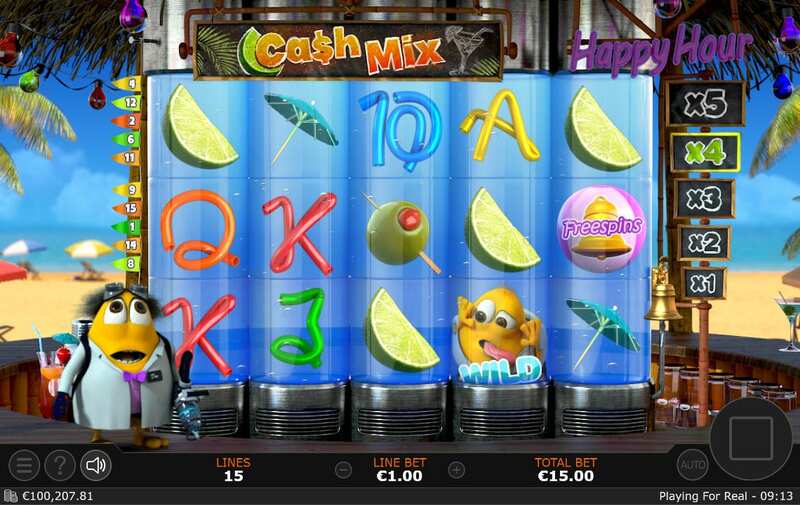 In this video slot game activate Happy Hour mode to obtain even more free spins. Activate it when you’ve got the Sunrise multiplier and you can double your multipliers up to 10x too. SEASIDE LAUGHS – It's not just the mega winnings that will have you laughing in this video slot game. The hilarious antics of Chuck and Crazy Doc will have you grinning from ear to ear!